Neutralizes over 30 noxious EMR fields unique to buildings in the home and workplace. The Geoclense® is a healthy, negative charge resonance field generator designed to balance the noxious, unhealthy positive charge resonance created by all forms of EMR, RF, Wi-Fi, Earth Radiation and Bioplasmic Radiation. Read >What The Experts Are Saying and >What Our Customers Are Saying here. Have you stopped to consider how 24/7 exposure to Electromagnetic Radiation (EMR) is affecting you and your family? We are bombarded daily by a complex mix of EMR emanating from Wi-Fi and digital TV’s, Smart Meters, electrical radiation from appliances, power lines, fluorescent lighting, mobile phone towers and more in our living and working environments. Constant or extreme exposure to strong electromagnetic forces which create unhealthy energetic conditions may result in mild to major health consequences in living beings exposed to them. What types of EMR fields are we exposed to? We can be exposed to OVER 30 DIFFERENT TYPES of veritable or measurable EMR fields in our homes and workplaces, both known and unknown. The Geoclense® Home and Workplace Harmonizer is a “man-made engineered smart crystal” technology which is programmed to neutralize the different types of EMR fields we are all typically exposed to no matter where we may live or work around the world. It dominates the electrical system with a healthy negative charge resonance so that the subsequent unhealthy positive charge resonance of EMR fields created by electrical appliances, Wi-Fi etc., emits a negative charge frequency which is in harmony with the human bio-field, thus neutralizing any electromagnetic stress on the body. The Geoclense® Home and Workplace Harmonizer has evolved to be much more than a powerful electrical and Wi-Fi radiation harmonizer. Over the years, due to our ongoing EMR research beyond the normal, there have been so many more built-in programs added that deal with negative energy imprints; things that you are often not aware of, however, which may be affecting your emotional well-being and ultimately your long-term health. ✓ Out-gassing from floors, paint, carpets etc. ✓ The Geoclense® has an effective range which will harmonize to the boundaries of the smallest or largest properties. There is no limit to the size of the property. This means that not only is your home protected, but your property grounds and animal life as well. ✓ The Geoclense® Home and Workplace Harmonizer neutralizes all Earth Radiation. Fruit and vegetables grown on a property will not be imprinted by radioactive minerals in the soil. How is EMR affecting our health and making us feel? Overexposure to any of the above types of harmful electromagnetic radiation fields at home and work may lead to problems with our health, as EMR creates resonant stress on the human body which directly affects our meridians, organs, immune system, nervous system, hormones and emotional states. Stress put on the human body by the different sources of noxious energy emissions are potentially neutralized with a Geoclense® operating in a building. Within an instant, the space feels ”lighter” and “clearer” and the well-being of the people may be restored, creating a healthier and happier home and work environment. The Geoclense® represents over 18 years of Intuitive Building Biology Consultancy experience and an intricate knowledge of the types of harmful electromagnetic fields (EMF) which may exist within a space. It is this knowledge base of the manufacturer of the Geoclense® Gerard Bini, World-Renowned Intuitive Building Biologist and EMF Consultant, with his advanced intuitive energy reading and dowsing skills developed over many years, that all contribute to the creation and outstanding performance of the Geoclense®. Geoclense® Home and Workplace Harmonizer has been clinically tested and proven for effectiveness by Accredited health professionals worldwide such as Kinesiologists, Naturopaths, Chiropractors and Bioresonance practitioners who know how to test an EMR harmonizer and space clearing device. What they test for is electromagnetic stress on meridians and organs. The GEOCLENSE® is non-placebo and many years of testing proves this beyond doubt. Simply plug the Geoclense® into any power point or power board in your home and workplace and ensure it is switched on. You only need one Geoclense® per property/building. Doesn’t need to be centrally located or in any special location. The Geoclense® does not consume any electrical supply. The Geoclense® will virtually last forever. Greg Hernon, Natures Energies, Melbourne. A Geoclense® is highly recommended for both Home and Workplace, and when traveling. (See our “Twin Pack” and “Triple Pack” specials). Why do I need a Geoclense® for my workplace? It’s amazing how different you feel when you remove all forms of Bioplasmic Radiation. Another reason why people love the uniqueness of the Geoclense®. For use in hotels, hostels, motels, resorts, holiday houses and apartments. Plug the Geoclense® in immediately upon arrival as you don’t know what sort of energies may be there to greet you. A typical Hotel/Motel room would have had many hundreds of people sleeping in the same bed that you are, potentially leaving an overlap of emotional and illness imprints in that bed and within the rooms, which may interfere with your sleep and emotional and physical well-being while on holiday. These localized fields over the Hotel beds are all neutralized by the Geoclense®. Combine the Geoclense® with a travel adapter to suit the electrical power point of your destination. Add a touch of harmony to your holiday and travel experience. We also highly recommend our Orgone Ionic Personal Pendants which were created for continued EMF protection when you’re out and about and away from the protection of the Geoclense® environment at home or work. Read our Frequently Asked Questions tab for more helpful information. The GEOCLENSE® Home and Workplace Harmonizer is sold to over 20 countries around the world. Choose Orgone Effects® Geoclense® Home and Workplace Harmonizer for yourself and your family, or as a special gift for someone who deserves a healthier home & healthier life. How many Geoclense do I need for one property? Only one is required per property. How big an area does it cover? The Geoclense has an effective range which will harmonize to the boundaries of the smallest or largest properties. This means that not only is your home protected but your property grounds are as well. The Geoclense will cover an area to the boundary of an average suburban house, and may even have an effect on the neighbors either side. If you are in a unit or apartment, it will cover your dwelling and may have an effect across the whole building. Where is the best place to plug it in? Any power point, anywhere in the house. The Geoclense does not need to be centrally located or plugged into any special location. It can go into a power board, and can be used with a travel adapter in any country in the world when you are traveling. The Geoclense is available with the correct electrical plug for every country around the world. Does the Geoclense use any power? No. The Geoclense does not consume any power, however, keep the switch turned 'on' at all times. Why does the Geoclense need to be plugged into an electrical socket if it doesn't use any electricity to work? The Geoclense dominates the wiring with a negative charge which harmonizes the electrical system, thus neutralizing the EMR fields around appliances such as Smart Meters, Wi/Fi, Digital TV, fridges, lighting etc. Because the Geoclense has an earth pin, the harmonized earth wire then neutralizes all types of earth radiation. Will the Geoclense device give out some light when it is switched on? No, there is no light that comes on when the Geoclense is plugged into the power point and is switched on. How long does the Geoclense last? The Geoclense will last forever. The Geoclense effectiveness against known harmful EMR fields at the time of manufacture should never lose its charge for all electrical, Wi-Fi, Digital TVs, Earth Radiation and Bioplasmic Radiation (Human Generated). How often do I need to replace or renew my Geoclense? It's good to update the Geoclense every 3-4 years because of the ongoing research and upgrades we make to the programming when we feel that we can improve the energetics, or, if there have been changes to our energetic global environment. Because planetary energies are always changing, it may be advisable to upgrade to a current model Geoclense to benefit from all the research we do in observing these changes, and making the suitable corrections available through the Geoclense. How do I know the Geoclense is working? Most people, within seconds of initial installation of their Geoclense, feel a change in the environment of their home and workplace and also how they feel within themselves. This is especially the case with people who may have an awareness of being, or have been diagnosed, as Electro-hypersensitive and chemically sensitive. The more sensitive you are to feeling energies, the quicker you will notice the difference. People often express how the the space feels” lighter” and “clearer”. Does the Geoclense harmonize the 5G Network Signal? 5G is an extension of 4G where the amount of mobile phone panels is going to increase dramatically. Should you have a mobile phone panel on an electrical pole directly outside your house, the Geoclense will feed a frequency back out to the electrical power lines attached to the poles which, in effect, may neutralize the EMF field from the 5G panel. Can the negative energies of a house affect its sale? Yes, it can affect the decision making of the potential buyer. Should someone who is electro-hypersensitive view a house for sale with a lot of Bioplasmic Radiation and also EMF from electrical and Wi-Fi, they may quite quickly decide not to purchase the property. We actually have many clients who work in Real Estate around the world who use the Geoclense to clear the energies in their slow moving real estate stock and has resulted in a quick sale of the property. Will the Geoclense help with solar panels on our roof? Yes, it will. The panels do not have an EMF field, it is the inverter. The danger is in the inverter which emits a field equivalent to the size of an EMF field from a meter box which may be up to 4 meters in diameter. Does the Geoclense help with power lines? Yes, the Geoclense definitely has an effect on power lines in either direction, up and down the street and in front of the property, for a distance of around 50 meters either way. Does the Geoclense only neutralize one apartment in an apartment building? The Geoclense will cover the whole multi-apartment building. In a two-level house will the Geoclense work on both levels? Yes, one Geoclense will cover both levels of a double story house. Can I plug the Geoclense into a power-bar or is it more effective to plug into an outlet? You can plug the Geoclense into any power point or power board and turn on the switch. If being used in countries that do not have a power point switch, plug the Geoclense into the power socket and it will start to operate immediately. Will the Geoclense neutralize the Wi-Fi from the neighbours? Do I need a Geoclense for both Home and Work? Yes!!!! What people don’t realize is that ALL workplaces are the most harmful energetic environments. This is because there’s generally a higher amount of EMR fields from machines, computers, appliances and fluorescent lighting. The other big energetic influence is Bioplasmic Radiation caused by negative psychic impressions which are electromagnetic imprints created by competitors, non-supporters, disgruntled customers, disgruntled staff and animosity among staff and management. This negative psychic impression energy is generally not what you would normally experience in the home environment. (See our “Twin Pack” special). Do I need to take a Geoclense when traveling? Yes!!! A typical Hotel/Motel room would have had many hundreds of people sleeping in the same bed that you are, potentially leaving emotional and illness imprints in the beds and within the rooms which will interfere with your sleep. These localized fields over the Motel beds are neutralized by the Geoclense. Some Motels which may be high rise have mobile phone communication equipment on the rooftops very close to the rooms, which create big EMF problems within the building. An extremely good example of this is where we, ourselves, stay in a Motel while exhibiting at Expos in South Australia. This Motel is of around 12 levels and has mobile phone panels attached to the walls on the 8th and 9th floor. Without a Geoclense installed in the room during our stay, the room would be virtually inhabitable because of the EMF. How has the Geoclense been tested and who has tested it? As the Geoclense is an EMF Harmonizer, it cannot be tested with a Gauss meter or a radio frequency meter. All testing of the Geoclense is done with traditional energy measuring tools such as the Biotensor and Lecher Antenna. These are proven, traditional building biology scientific instruments designed to measure the effect of EMF on the human body against a known radiation field. We have also performed many tests in the past using GDV Kirlian Photography. Because the Geoclense is all about neutralizing the effect of EMF on the human body, the Geoclense is able to be tested using Kinesiology and Bioresonance which is why we are so popular around the world with practitioners who use Kinesiology and Bioresonance equipment. These modalities always show that the Geoclense does prevent EMF stress in the body, and some practitioners believe that after using a Geoclense for more than a month, the EMF imprinting in the body completely disappears. It is a known fact that most Bioresonance practitioners will start a treatment by checking and clearing EMF and Geopathic stress imprinting in the body, and do observe that there is generally no EMF and Geopathic stress imprinting with their clients who have been using a Geoclense in their home and workplace. What’s the difference between the Geoclense and other products on the market i.e: Scalar devices and Orgonite? Scalar electronic harmonizers are placebo only. Our testing methods carried out by Accredited Health Practitioners worldwide prove that fact. Orgonite is bipolar in its frequencies and generally looks pretty, however when tested with traditional building biology tools as mentioned above, show no EMF neutralizing effects and if anything, may show harmful effects on the human body. Can a Geoclense cause a house fire? No, because it doesn’t contain any electronics which may potentially cause a fire risk. Is the Geoclense strong enough to protect a house 50 meters away from a major electricity power station? Some power stations produce more EMF than others. A Geoclense will neutralize the EMF charge from a power station no matter how close it may be. Is it safe to use earthing products if I have the Geoclense plugged in? Yes, you can because the Geoclense neutralizes the earth wire and the earth radiation. We have a sewer at the back of the house, will the Geoclenze neutralize this? The sewer line will cause an electromagnetic charge above the ground to about 1.5 meters and is as wide as the line itself which the Geoclense will neutralize. Can you break a Geoclense? In theory, no. Because the Geoclense does not contain any electronics, it naturally “feeds” the frequency into the wiring. If the Geoclense resin engineered smart crystal block is broken, the Geoclense will continue to operate without any compromise. As the Geoclense is an EMF Harmonizer, it cannot be tested with a Gauss meter or a radio frequency meter. All testing of the Geoclense is done with traditional energy measuring tools such as the Biotensor (Josef Oberbach) and Lecher Antenna (Ernst Lecher). These are proven traditional building biology scientific instruments, designed to measure the effect of EMR on the human body against a known radiation field. Because the Geoclense is all about neutralizing and harmonizing the effect of EMF on the human body, the Geoclense can also be tested using proven scientific methods such as Kinesiology, and diagnostic equipment such as Bioresonance, Biofeedback and GDV Kirlian Photography. These testing methods consistently, and across a wide range of experienced practitioners worldwide, show the 100% effectiveness of the Geoclense in its ability to neutralize radiation and prevent resonant stress on organs and meridians caused by the presence of harmful radiation. Some practitioners believe that after using a Geoclense for more than a month, the EMF imprinting that was previously in the body, completely disappears. With the Geoclense: 2,5 – 8 – 12 – 15,3 - 17.6Hz = 100% …which equates to healthy, positive energy free of EMF, RF and Geopathic stress interference. The initial GDV test on the subject person was performed without a Geoclense operating and showed possible resonant stress from the radiation in the building on the residents heart, spleen, stomach and pancreas. GDV testing after the Geoclense was installed showed a measurable increase in their heart, stomach, spleen and pancreas organ energy levels, indicating that the Geoclense may have successfully neutralized the resonant stress on those organs. Testing with GDV Photography with and without the Geoclense operating was repeated several times that afternoon and consistently demonstrated the same results. What's the difference between the Geoclense and other products on the market i.e. Scalar devices, Earthing products and Orgonite? Scalar electronic harmonisers are only effective against electrical EMF and not against Digital TV's, Wi/Fi, and Bioplasmic and Earth Radiation which are the bigger EMF dangers in our houses and workplaces. Having a Geoclense installed enables earthing or grounding products to be safe to use. The Geoclense ensures that the correct frequency is taken into the earthing/grounding products so you won’t be exposed to unhealthy frequencies which could cause unwanted stress on your organs. This is especially significant if you are using a grounding sheet to sleep on. Orgonium, manufactured by Orgone Effects Australia, is not orgonite, as it does not contain dirty ingredients such as metals and toxic resins. Orgonium is produced from a non-toxic, environmentally friendly resin. Orgonite is bipolar in its frequencies and generally looks pretty, however when tested with traditional building biology tools such as the Biosensor, Lecher Antenna, Kinesiology protocols and Bioresonance etc., they shown no EMF neutralising effects, and if anything, may show harmful effects on the human body. Did not create a balancing energy beyond 6 meters at best, the worst was only 1 meter. Failed to harmonize all forms of positive charge resonance. Had no effect on any form of imprinted noxious Bioplasmic Radiation energy fields such as emotional imprints, death imprints, counter-conscious imprinting radiation fields or inter-dimensional imprinting. No neutralizing effect on all forms of Earth Radiation. No effect on neutralizing mold or fungus. Did neutralize EMF, however, failed to remove the imprinted fields around the affected appliances or power points. Did not comply with Australian standards for electrical safety. Did not have electrical insulation around the base of the electrical pins (including some earthing products currently on the market). I would like to give a testimonial that the Geoclense has changed my life and health and that of many of my clients. As an NES Health Practitioner, I have a scan that shows up EMF Radiation and it has clearly shown up Smart Meter and Wi-Fi radiation as well as Geopathic stress. After putting a Geoclense in the house, the radiation has disappeared and people’s health has improved. Their headaches have disappeared and they are sleeping better and their general, overall health has improved. Feedback from the Geoclense has been that the whole house has seemed to calm down and that even neighbours seem to be better as well. I, myself, have always been sensitive to EMF radiation and other unseen energies and I now feel like my house and workplace are very protected. I am not as tired or drained of energy as I used to be. I also take a Geoclense away with me when I stay at motels and find that the atmosphere is clearer, I sleep better and I never get sick when I travel anymore. This a product that really works and I could not live without mine. Being a Geopathologist, my interest is in harmonising buildings and houses. To harmonise a building, relevant measures are done, evaluating the energetic impact of the building on its inhabitants. The basic measure done is called the bovis scale. As a professional, my aim is to look for good equipment, that has a long-term effect and is easy to use. Beginning 2013, I met a friend in Hong Kong using the Geoclense to improve life circumstances in his apartment. Having done some measurements with and without the Geoclense, I concluded the Geoclense could furnish me a very useful tool for my work as a Geopathologist. So, some Geoclense's were bought and tested in different buildings in Belgium and Europe. All to my satisfaction. Since then, every building that is harmonised by me is equipped with a Geoclense from Orgone Effects. In fact, it is the first item to be placed in a building, significantly improving the overall life quality in the building. A friend took the time to investigate devices that protect us from electromagnetic radiation. There are many such products out there and they are, in my experience, very disappointing. As a Kinesiologist, I have been asked to check various devices over the years. The one complaint I had that they blocked the flow of the body’s meridians. So, when asked to check the Geoclense I was a little skeptical based on previous experience. However, when I checked the Geoclense I quickly realised it was very effective and lived up to its claims. So, I was quick to order one and plug it in. One of the best decisions I have made, for it has protected me for ten years and if I go on holiday, I take it with me. In 2013 I went on a cruise around Scandinavia and plugged my Geoclense into the power point in my cabin. Cruise ships have a lot of radiation from the bridge – communications equipment and radar – research is revealing just how much radiation is affecting the crew and passengers. So, I knew that I would need protection to fully enjoy my holiday. Then, when I was in a hotel or staying with family in the UK, I would plug in my Geoclense, for my benefit and theirs, whether they realised it or not. The GeoClense is an essential part of setting up my home and is always plugged in, doing its work. I have a similar device in my car which makes traveling around the Gold Coast less stressful. I recommend the Geoclense device to all those who want to protect themselves from the electronic haze we are now all exposed to, especially children who are very vulnerable. My thanks to Gerard Bini for his insight in creating this unique device. After a long and exhaustive search for a device that could comprehensively protect me in EVERY ROOM IN MY HOME, including front and backyard from the murky swamp of harmful emissions of electromagnetic radiation generated by cell phone towers, Wi-Fi, Flat Screen TVs, Laptops, Power lines, phone lines, microwaves, cell phones, to name but a few – I’d reached a dead-end in early 2011. Every cell in my body, in every baby’s body, in every child’s body, every adult’s body is being bombarded 24/7 by harmful emissions from all these everyday devices and that doesn’t even include Geopathic stress. Even in the late 90’s, I knew the toll on people’s health would be enormous and this realization is slowly dawning, especially amongst parents with young children. From 1998-2011, I’d spent a small fortune on dozens of contraptions and devices all proudly claiming to neutralize these harmful emissions. None worked as claimed. Nowhere near. My body and gut feeling were my guides, and Kinesiologists (muscle testers) always confirmed my body’s reactions. By the time I heard the name ‘Geoclense’ in 2011, I was the World’s biggest skeptic about these products. After trying out dozens, I thought they were all rip-off rubbish. A few months after I heard the name Geoclense I rang the owner and negotiated a deal that he post me a Geoclense and I pay nothing up front, zero, not even postage. I gave my word I’d post it back if it didn’t work. I fully expected to be mailing it back to him pronto. I deliberately did not read any beneficial claims about it. All I knew was it could supposedly neutralize harmful electromagnetic emissions and Geopathic stress. I didn’t want any details to avoid being influenced. I wanted to rely on my own judgement and body awareness. The instant I plugged the ‘bar-of-soap-sized’ Geoclense plug into an electrical socket (it doesn’t use electricity though) and flicked the switch, I felt instantly relaxed. It was actually astonishing. Friends began commentating on the ‘light and relaxed atmosphere’. I didn’t tell any of them about the Geoclense – which was hidden behind a cabinet. My general well-being also improved considerably. After 3 weeks, I paid for the Geoclense. At $150 it was an incredible bargain. I was protected in every room; right to the edge of the property. Could I prove this to anyone? Nope. But I wasn’t going to wait 50 years before mainstream caught on – in the same way, it took decades before the tobacco industry was forced to admit smoking killed and caused many illnesses. I showed my Kinesiologist the Geoclense and asked her to muscle test its effectiveness. She refused! because many clients had shown her similar products over the years and all produced disappointing results. I asked her to include testing the Geoclense as part of my session, reluctantly she agreed. She muscle tested me under lit fluorescent lights in her kitchen. My body showed stress and weakness. She plugged the Geoclense in a socket, flicked the switch and re-tested me; this time my body showed no stress at all. Intrigued, she did the same test on me in front of her TV. Same result. A few more tests later with a few more gadgets – same result. She ended up buying a Geoclense herself! I’ve had my Geoclense for seven years. I wouldn’t live without it now. I have a car harmoniser from the same company which is a mini version providing a protective bubble in and around my car when out and about in the murky soup of electromagnetic radiation that is modern life. I, of course, can be in a house or office or car without a Geoclense but only for a short time before I start to feel the adverse effects of all these damaging energies bombarding me. I am a realist. Radiation producing gadgets, technology and towers are here to stay. There are billions of cell phones and thousands of towers spewing out harmful emissions, and that’s just cell phones. Walls, ceilings, floors, cars, trains, planes etc. don’t protect us from this murky soup of harmful energies, they pass right through. Emissions from our neighbour’s flat screen TVs, their laptops, microwaves etc. are invading your home. Your office wall is useless. This invisible ‘stuff’ is everywhere. You won’t drop down dead straightaway, but eventually, its cumulative effects will undermine many people’s health. Smoking never killed immediately either. All anyone can do at this moment in human history is protect their family, themselves and their pets. I firmly believe the Geoclense does this, and I’m the World’s biggest skeptic. The Geoclense has completely changed my home and work environments! The Geoclense has promoted and maintained a better quality of sleep, it has reduced the stress within my home and workplace, leaving the energetic feeling of my spaces lighter. I couldn’t imagine my home and work environments without the Geoclense!! I have used the Geocleanse for over 5 years. I have one constantly plugged in at home and have spares for my Motor home and to take on holiday. I have travelled through Europe and always use an adaptor for the Geoclense in each country. A bio-energetic evaluation proves without a doubt that the Geoclense works. The Geoclense deals with EMF and subtle energy, not measured by typical devices that electricians and electrical engineers use. I have tested the effect of the Geoclense on the acupuncture meridian energy of many of my clients. As soon as I place the Geoclense in the test circuit, their meridian energy balances and normalises. That’s how I know it works — by its effect on the body. After all, the whole reason for using an energy harmoniser is to make the body healthier. Balanced meridians is a sign of health. I have done the same test using other devices but never found any effect. That’s another reason why I recommend the Geoclense. I am a Naturopath in the United States. I have used the Orgone Effects Geoclense technology for over 4 years. I have been very impressed and pleased with the beneficial effect it has had on my clientele. The energy change in the environment when the Geoclense technology is applied is nothing short of amazing. I first came across the Geoclense and related products in 2007. I was very excited to try them as electromagnetics affect me terribly – headaches, dizziness, insomnia etc. I gave the Geoclense a try and immediately felt better. I also used Orgone Effects products on my phone and in the car. I had great results with these too. By putting the Geoclense products on my phone and computer, I can now use this technology free of pain. I have suggested to many people to purchase these products and I hear amazing feedback about how happy people are that they have found something that works. EMF is a massive challenge to many people. To find a product like Geoclense that has helped me so much, was life-changing. I just want to give you some feedback about the Geoclense. I first bought a Geoclense 8 years ago, and it has been such a life changer for me. I’m extremely electro-hypersensitive, and the Geoclense has made the difference for me in a house being livable or not. I’ve moved house a few times during that 8 years, and each time I’ve noticed the difference within minutes of the Geoclense being plugged in. I’ve done tests with the meters which supposedly measure electromagnetic output of appliances and electrical systems, and I can tell you, my body is a more efficient sensory system than they are. My body knows when there is a disturbance in the electromagnetic fields in a building, and it knows the difference the Geoclense makes. As a former teacher, I’ve tried out the Geoclense in classrooms and noted that after it was plugged in, the children were calmer and worked more harmoniously together. They didn’t know it was there, which negates the idea of a placebo effect. I now have a second Geoclense, my spare, which I take with me when I’m going to somewhere with Wi-Fi and lots of people with mobile phones, such as a cafe or library, or where I must spend time in a building which affects me negatively. This means I can tolerate the space, even function in it without my head hurting, eyes closing, mouth buzzing, and brain fatigue. As I said, the Geoclense has been a life changer for me. I dread to think where I’d be now if I hadn’t found it. Thank you, with heartfelt gratitude. I might not understand how Gerard manufactures his products, but I do know he knows his stuff regarding frequency, sound and positive and negative emissions. I believe that any products that can help alleviate negative or harmful energies produced by living in a modern society must be a good thing. I have sold Gerard’s products to many people without any negative feedback and in fact, often, their lives have changed in a positive way from simply feeling more at ease in the home, to homes that hadn’t sold for months suddenly selling within weeks. Whether this is a timing thing or a perceived thought process by the person buying the product, it seems very real to the end user. I personally use and recommend the Geoclense and all Orgone Effects products. I have known Gerard Bini for ten years and have found him to be an amazingly gifted man in scientific energy work and identifying frequencies that are harmful to humans. His work with sick building syndrome is second to none in Australia. It is an extremely specialized area with few experts in Australia, little lone the world. With his enormous experience and knowledge, he has developed devices to harmonize the toxic EMR and EMF fields, Geopathic Stress and human energy imprints, to name a few of the energies he works with. The breakthrough device is the Geoclense Home & Workplace Harmonizer. This is an exceptional device that is plugged into a wall socket in homes or workplaces to harmonize the entire building via a negative charge frequency running through the wiring. 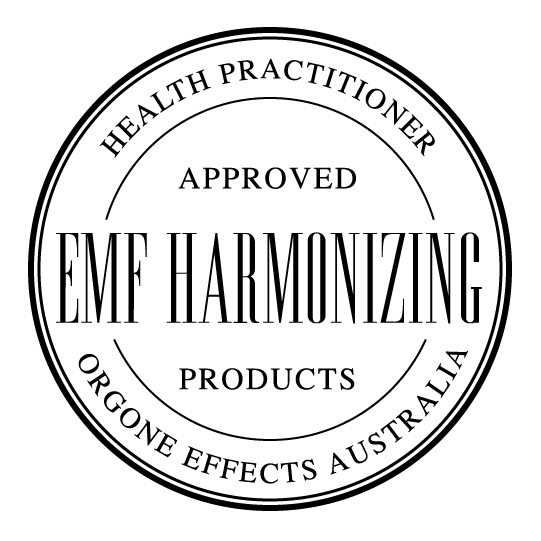 I have a website called ‘Phone Radiation Chips’ and have sold the Orgone Effects Australia products for 10 years. I am willing to supply a list of over 300 clients who have bought this device and absolutely love it. In 10 years, I have not had one person ask for their money to be returned. We should revere what Gerard Bini has done for people in this country and over 15 other countries, selling his amazing health products. I have known and worked with Gerard Bini and Orgone Effects Australia for the past 8 years. I first met Gerard when I personally became interested in the effects of EMR/EMF and Geopathic Stress (Earth Radiation). I had looked at many products and found that most of them only blocked or shielded the noxious energies which to me seemed pointless as the noxious energy was still there. Many products were mass produced and with no proof of the qualifications of the manufacturer to produce such products. When I met Gerard, I was amazed at his ability to detect the noxious energies and produce an amazing range of products that counter the negative effects of EMF. The most amazing product in his range is the Geoclense Home Harmoniser. The Geoclense changes the EMF frequency from a Positive charge into a Negative charge. I don’t know any other product on the market that is as effective as the Geoclense. I have personally worked with Gerard, and seen for myself the people that he has assisted. I sell his products on my website and have customers return to me time and time again to let me know how much better they feel having the Geoclense in their home. We should be thanking Gerard for the work he does. My name is Robert McDonell and I have been doing Kinesiology in a clinical context since 1989 and teaching Kinesiology since 1993. In that time, I have used Precision Muscle Checking as a verification tool to test the validity and effectiveness, as well as the harmful effects, of many different products available in Australia and worldwide. During that time, I have been aware of the dangers posed by electrical appliances and other electromagnetic energies. Many people have made claims as to the effectiveness of many devices that eliminate the dangers. For nearly two decades I tested many products, but to no avail. It was such an amazing day when I found Gerard and his products. Muscle Checking has verified that his products do what he claims. I am especially fond of the Ener-soles that you put in your shoes. I found my feet were so relaxed after being on my feet in my clinic all day, as well as when I played cricket. I was amazed how well I felt after running around on the cricket field. I use them every day. I must congratulate Gerard on his amazing products. Many people I have shared these products with are also amazed at the difference they make. I have been using products from Orgone Effects Australia for almost 10 years and have found them to be highly effective. A number of years ago I became concerned about getting a “hot-ear” from my mobile phone. After reading and researching the growing scientific evidence that radiation from mobile phones can cause brain tumors, my concern was confirmed when one of my clients at the time, a senior Neurosurgeon at an Australian hospital, told me that he had been extensively researching the effects of radiation from mobile phones over a long period and had found a causative link to brain tumors and cancer. This Neurosurgeon had written and published articles on the subject. I then researched and bought various products which didn’t seem to make any difference. I eventually came across the Orgone Effects website and I bought the mobile phone radiation protector. No more hot-ear! It worked brilliantly. I saw the founder of Orgone Effects, Gerard Bini, speak at a seminar sometime after that on the subject of Geomancy, an ancient art, and the modern EMF-type problems. I then tried other products Gerard had developed and had them independently tested, and confirmed as to their effectiveness. I believe Gerard is years ahead of his time in providing solutions to an ever-growing (and out-of-control) electromagnetic/radiation problem through the explosion in technologies like mobile phones, Wi-Fi, smart meters, digital TV’s, computer screens etc. I have been extremely happy with the Orgone Effects products and would highly recommend them to anyone who has woken up and realized that there is a problem with the technology we are being bombarded with these days unless we are aware and do something about it. If anyone is interested in doing their own research the “International Agency for Research on Cancer” (an arm of the World Health Organization) website is a great place to start for the scientific evidence of electromagnetic fields being now classified as possibly carcinogenic to humans. Another great website for scientific proof is www.emfscientist.org which provides some explosive scientific information and an appeal to the United Nations from scientists from over 40 countries to investigate this growing problem. Keep up the great work Gerard! I have had a Geoclense for a while now and I have become accustomed to the improved energy in my house, so I was shocked when the Geoclense was recently unplugged. I could feel the energy drop and I felt a heaviness – subtle but not pleasant. I couldn’t wait to get it plugged back in again. I can feel the extent of the extra energy from the Geoclense outside my house and even in the street – I know where it stops as I start to feel that heaviness again. It’s interesting that visitors to my home often comment that my house has a nice “feel” to it, or that it has good energy, so I know that others are noticing the effects of the Geoclense too. I choose not to have a wireless internet connection because of the radiation, however, I discovered one day that I could pick up my neighbors wireless connection, so it is still in my home. I know that I am protected with the Geoclense. I am so glad to have the Geoclense and know that I am protected from harmful radiation. I am a Kinesiologist and Intuitive Energy Healer located in Perth. I am a sensitive and feel and perceive all energy forms. This has had a huge impact on my life and general well-being and lifestyle. I use your products and found they have immediate and amazing results. My three children are also sensitives and your products have proved really important to their moods and health. A lot of my clients come to me with EMF symptoms, and I would like to recommend your products. It is easy for me to tell them how it is helping their energy flow, as I can perceive this as they hold the product. Gerard’s products and knowledge were well received at last year’s Bloom Wellness Festival in Cairns and Townsville. He presented important information to bring our awareness to the damaging effects of EMF and various other disruptors that affect our health and environment. I purchased the Geocleanse and I’m really happy with the product, and its peace of mind that I am doing my best to protect my family and home.